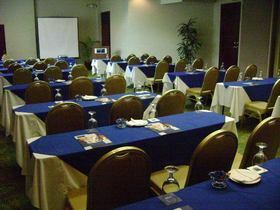 The Hotel Presidente is located in the heart of downtown San José, 2 blocks from the National Theater and the Cultural Square (Plaza de la Cultura). This provides the perfect location to explore San Jose on foot and ideal for visiting the main attractions of the city; museums, cafes, bars, restaurants and casinos. With its enviable view of Central Avenue — Costa Rica’s famous pedestrian boulevard — and complete menu, the News Café at the Hotel Presidente is the best place in downtown San Jose to have a delicious and relaxed meal and do some people watching.Start your day with our hearty breakfast. At lunch, choose from delicious salads, sandwiches and burgers. If you crave pasta or steak, stop in for dinner. They also cater to your sweet tooth with tantalizing dessert selections. 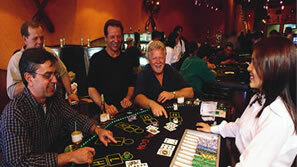 For their guest’s entertainment and enjoyment, the Fiesta Casino Presidente offers six different table games. The Black Jack and Rummy tables are standouts and both offer excellent betting limits. There is also Caribbean Stud and Three Cards, games for which a cumulative jackpot of more than 20 million colones ($35,000) is offered, making it the highest in the country. Visitors also enjoy Roulette and Pai-Gow games. 100 comfortable and functional rooms with silent air conditioning, hair dryer, cable TV, private bathroom with hot water, telephone with International direct dial and voice mail, free wireless Internet access, mini barsafety deposit box and electronic door key lock. SPA ROOMS The lavish Spa Rooms feature a two-person Jacuzzi. These rooms were designed with your relaxation and comfort in mind, and include a lounging area and a king size bed in an ample 480 square foot space.